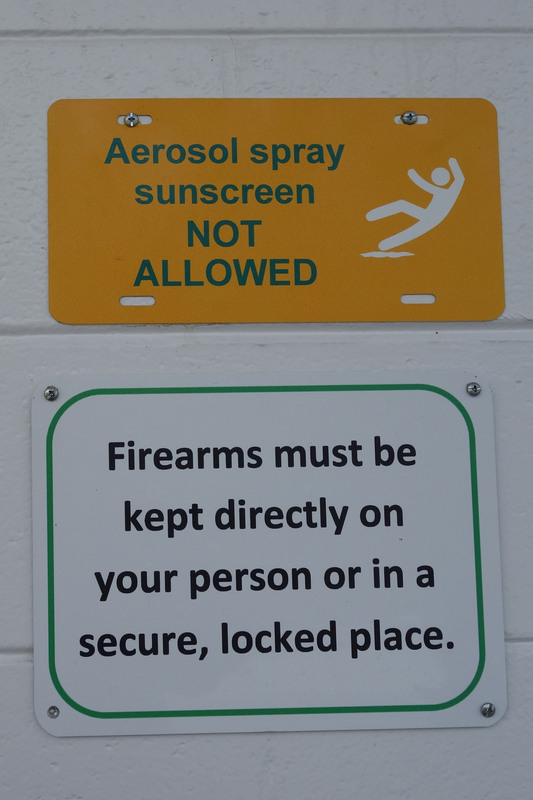 This entry was posted in Life!, Seeking a Sign and tagged 2nd amendment, 2nd amendment humor, American West, gun humor, open carry, open carry firearm, sunscreen, sunscreen humor, swimming pool humor by tarvasalutes. Bookmark the permalink. Very very funny when we saw this sign. Can you email a link to Crystal? I told her about it. This sign would never be here in CT! Well, maybe the first part!